Just over a week ago The Mystery of Edwin Drood thundered out of the gate at Circa, with a bold and boisterous opening night event that served up a feast of madness, mystery, murder and music to the more than 200 people who joined the cast and crew to send Drood off to the races in style. Fabulous....Brilliant...Awesome...Amazing...You should see it more than once! By now, nearly 1500 of you have been welcomed to the Music Hall Royale to meet the incredible suspects, watch for clues and red herrings and decide for yourselves who the Dickens did the deed! 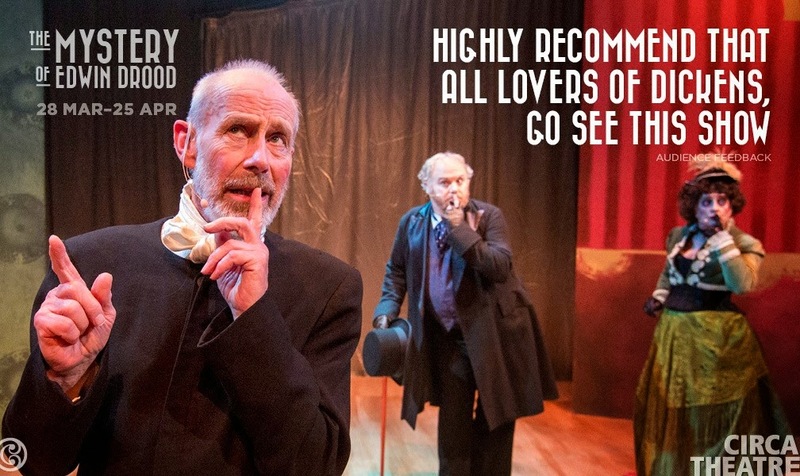 Highly recommended that all lovers of Dickens go see this show. Stunning in every way and rollicking good fun! 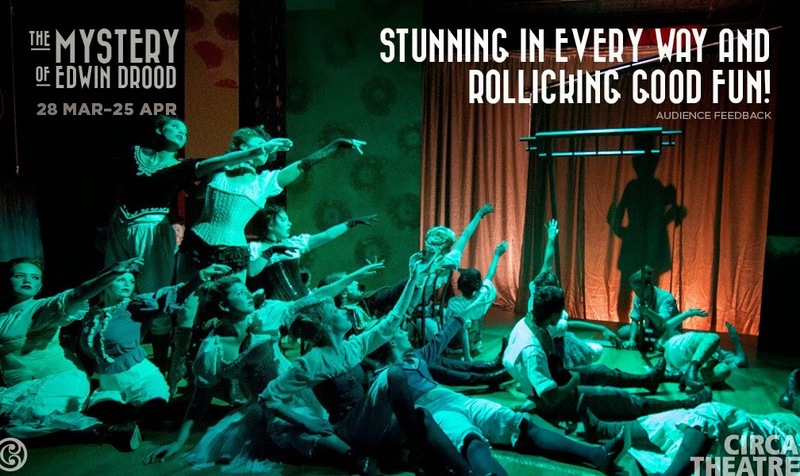 As those of you who’ve seen it will know, The Mystery of Edwin Drood is a massive and spectacular undertaking, needing truckloads of energy, wit, speed, passion…..and people to share it with! 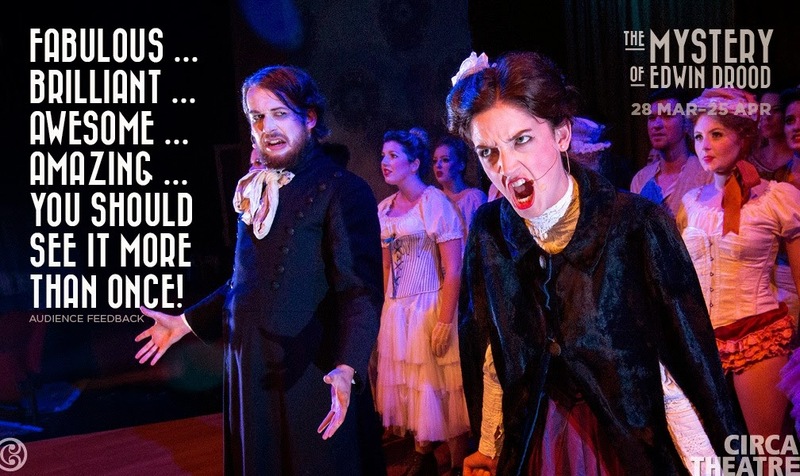 We’re still firing on all cylinders and there are heaps of endings still to be seen, so it’s just as well we’ve got another three weeks to bring you a larger-than-life experience at The Mystery of Edwin Drood. Everyone should go and see this as quickly as they can; it is HILARIOUS! 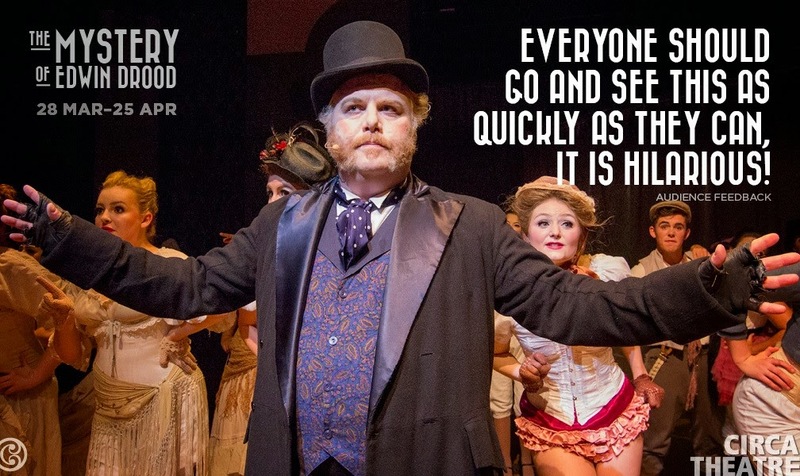 All photos taken by Tabitha Arthur, with quotes from the audience of this season of The Mystery of Edwin Drood.